Brain Machine Interfaces (BMI) have been part of the science fiction stable for years, but research has brought us closer to that reality every day. We are closer to enabling the control of devices without lifting a finger, a boon for those with injuries or disabilities that prevent them from controlling most devices. This could also work the other way. 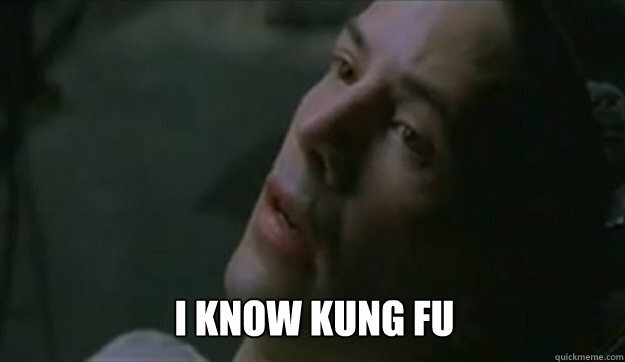 Sure, a BMI helped Neo learn Kung-Fu in seconds but it also left his mind and those of others jacked into the Matrix vulnerable to connections going from the machine world into their own carbon based processor. Remember, the connection to the Matrix works both ways. Will Brain Machine Interfaces let the social networks do more than hack our news feeds? We can already influence the other way just by controlling what content we consume. Everyone has their mood music, a playlist for coding, focusing, getting down and more. Facebook proved, through some internal research, that they could control the moods of members by adjusting their news feed. Now imagine if you didn’t have to go through people’s eyes but directly to their brain? This Internet of Thoughts could be a new type of digital voyeurism where celebrities and everyday people could share their emotional playlists. Want to get amped up for the bit swim meet, jack into Michael Phelps. Need a creative boost to hit the deadline, access the soul and feelings of Ogilvy for a few minutes. Several firms, like Thync, have already proven they can induce calming states externally with the right electrical stimulation. In this world where our filter bubbles have already erected intellectual firewalls to protect us from views, theories, and evidence that might challenge our cherished world views, imagine if there was a way to hack around those firewalls and target our emotional centers directly? What if they could change your anchors so that every time you saw chocolate, it would trigger disgust. That for every glance of fake news, ecstasy would result. The potential for behavioral therapy is fantastic but there is that dark side to be concerned with. An evolving Internet of Thoughts coupled with the ability to control them more directly could edge us down that dystopian path first laid out by George Orwell in 1984. At Argus Insights, we have a bit of an anecdote to these Filter Bubbles. Because we track every single piece of content related to a market, we help users pop their brand biased filter bubbles to see what is happening across the entire Internet of Things market. Our Analyzer platform helps you avoid the tunnel vision of brand biased engagement improves your market kung fu in a matter of seconds. If you are ready to take the red pill, check out the Analyzer today.